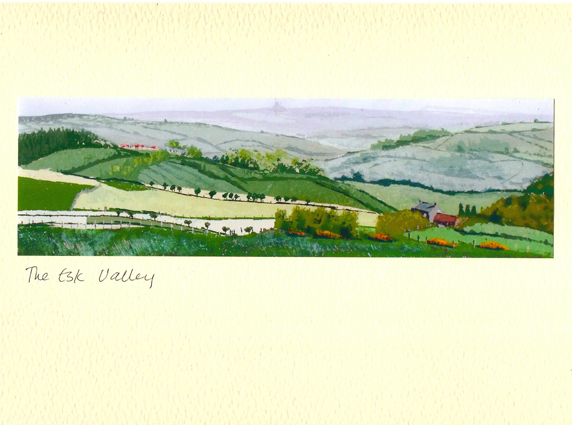 Originally painted on location from the roadside near Glaisdale. It was the bold contrasting colours that attracted me to this view. Presented in cellophane wrapper with envelope. The card is blank inside.